An FIR has been registered against him under 14A Foreigners Act (for entry in restricted areas without valid documents), 419 IPC (cheating by personation) and IPC 420 (fraud), he said. 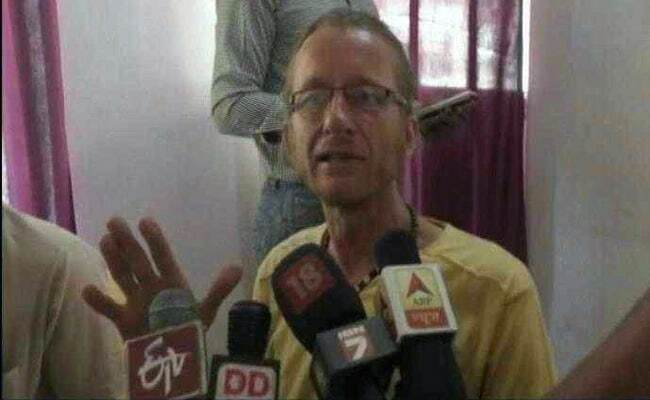 Lucknow: A German national, who was involved in an altercation with a railway employee at Robertsganj Railway Station in Uttar Pradesh Sonbhadra district, has been arrested for allegedly travelling on a forged visa, the police said today. Holger Erik Misch, a resident of Berlin, had on November 3 entered into an altercation with railway employee Aman Kumar and had also allegedly attacked two policemen with a stick, they said. "The German national has been arrested. First of all he did not have a tourist visa and secondly he was carrying a forged visa," Superintendent of Police, Sonbhadra, RP Singh told news agency PTI over the phone. The railway employee alleged that when he greeted Erik by saying "welcome to India", the German hit him, though Erik made a counter allegation that he was beaten up by Aman. Circle Officer, GRP, Monika Chadha told news agency PTI that non cognisable reports (NCR) were registered on the complaint from both the sides. "According to reports, the railway supervisor enquired the German national about his well being, which angered him. The German hit the railway employee, who might have pushed him in retaliation. Based on complaints of two sides, non-congnisable reports have been registered. 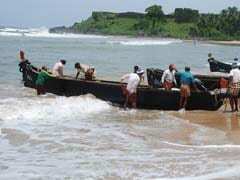 Their medical examination has been conducted," ADG (Law and Order) Anand Kumar had told reporters yesterday. The German, according to police officials, may have "anger management issues, depression or some aberration as he was aggressive with a railway employee and also with the police." Erik, who was taken to GRP police station in Mirzapur on November 3, had also attacked two policemen with a stick and tried to flee. "Sub-inspectors Harikesh Ram Azad and Mithilesh Yadav were beaten with a stick by Erik when he got off the police vehicle. Since he is a foreign tourist, he is our guest and that is why we decided not to file a case in this regard against Erik," Inspector, GRP, Mirzapur Samar Bahadur Singh told news agency PTI. Police said that earlier an FIR was lodged against the German national on July 5 in Kullu, Himachal Pradesh, for allegedly attacking a person with a sharp edged weapon. 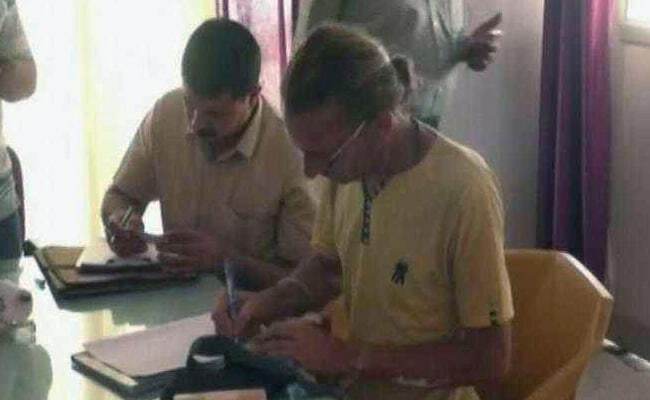 "His passport and visa are deposited in the Chief Judical Magistrate court in Kullu," the police said, quoting Erik. Uttar Pradesh was in the news recently when on October 22, two tourists from Switzerland, Quentin Jeremy Clerc (24) and Marie Droz (24), were chased and attacked with stones and sticks by a group of five youths in Fatehpur Sikri, Agra triggering widespread outrage. Uttar Pradesh Director General of Police Sulkhan Singh has issued a list of guidelines to prevent misbehaviour with foreign tourists.